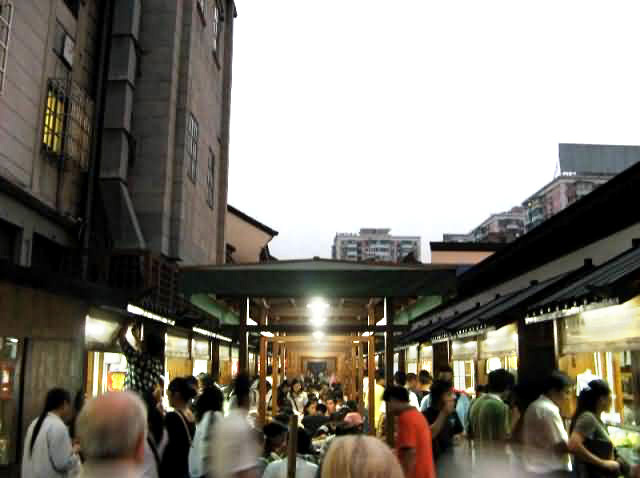 Shopping in Hangzhou will not disappoint you since it is another "shopping paradise" in China. The city offers a superb collection of local crafts, rare arts and other souvenirs. 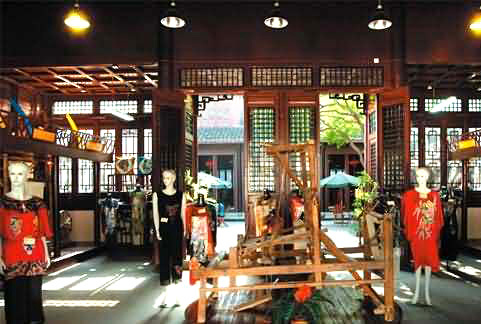 Typical Hangzhou specialties and souvenirs include Hangzhou Silk, Hangzhou Embroidery, West Lake Silk Umbrellas, Tianzhu Bamboo Chopsticks, as well as White Chrysanthemum tea and world-famous Longjing tea. 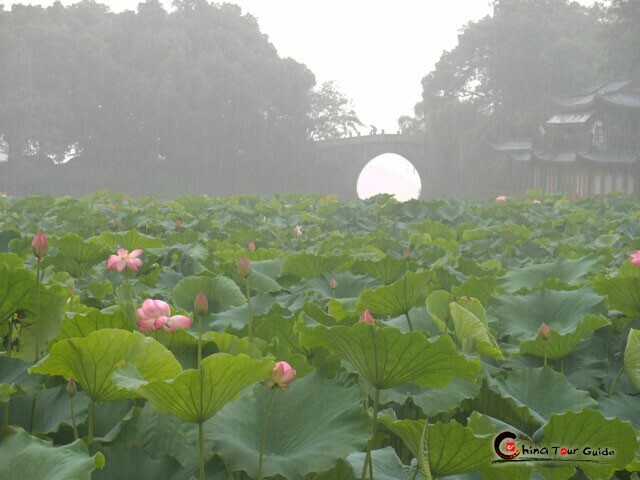 Hangzhou is best known for originating Longjing tea (Dragon Well tea). It is a superb variety of green tea, famous for its unique green color, fragrant aroma and sweet taste. 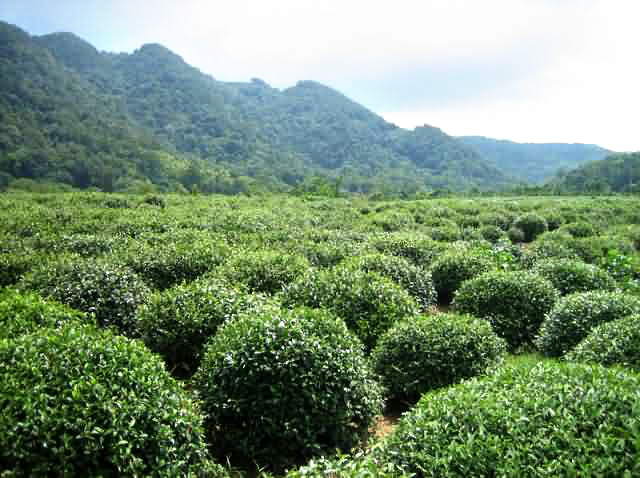 The tea falls into different grades, the best of which is the first pick of a year, normally in late March or early April. There are many types of Longjing tea, the most famous being West Lake Longjing that is grown near West Lake. Hangzhou is well known for producing excellent silks, including satins. The best place for purchasing silk in Hangzhou is at Hangzhou Silk City, the biggest silk wholesale and retail market in China with more than 600 silk enterprises dealing in a wide variety of pure silk fabrics, garments, handicraft articles, scarves, and ties. Also, Hangzhou has a great outdoor silk market called the China Silk City on Fengqi Lu that runs for two blocks. 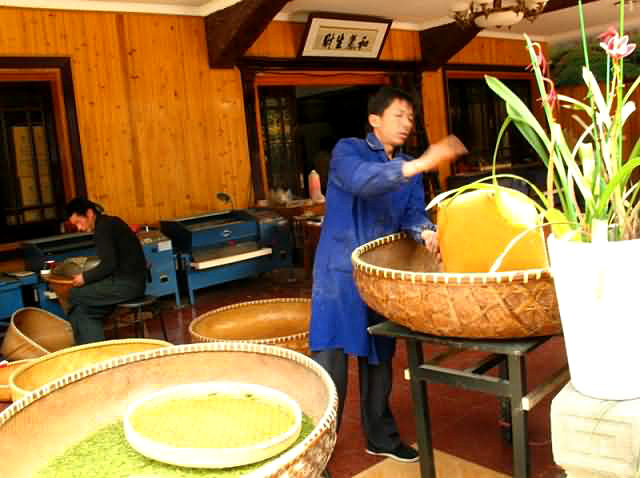 Tea is an important part of Hangzhou's economy and culture. If you are interested in tea culture and history, Longjing Tea Village in West Lake District is the ideal spot where you can have a cup of tea, watch a tea ceremony, and select tea under professional guidance. 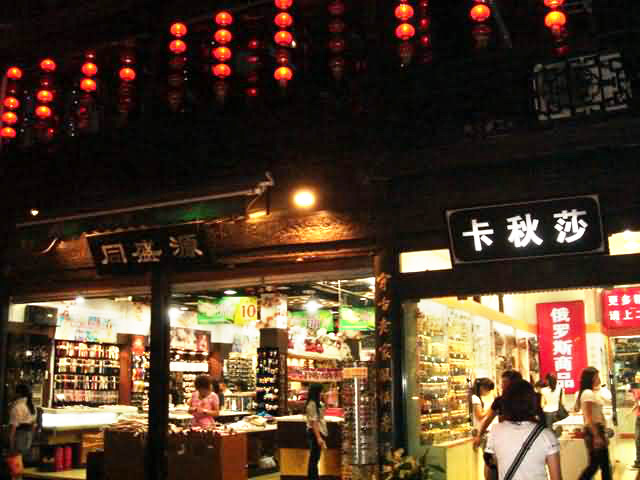 One great place to souvenir shop in Hangzhou is the market that opens every evening on Wushan Road. 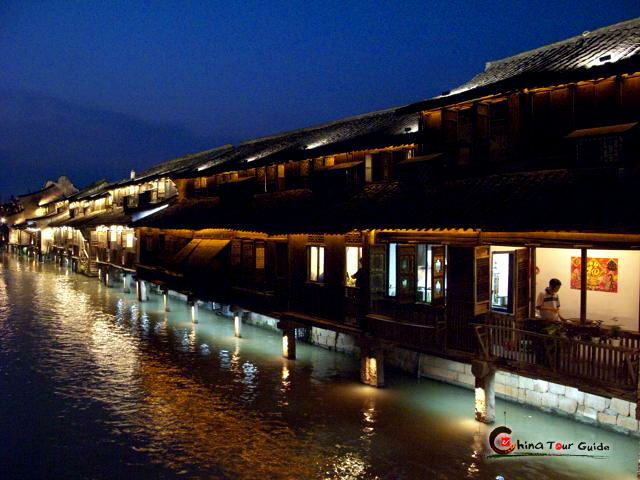 Here you can avoid the high prices at Hangzhou's many tourist shops. Bargaining is allowed in these shops. Last but not the least, Yan'an Road is worth mentioning. 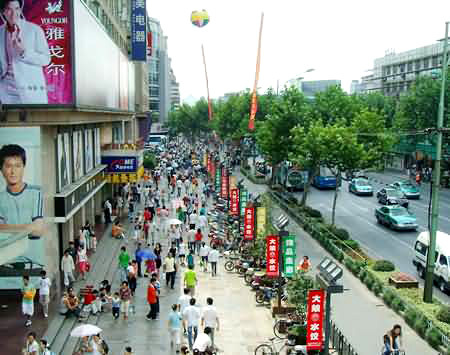 Roughly 3000 meters long, Yan'an Road is a popular Hangzhou shopping destination. 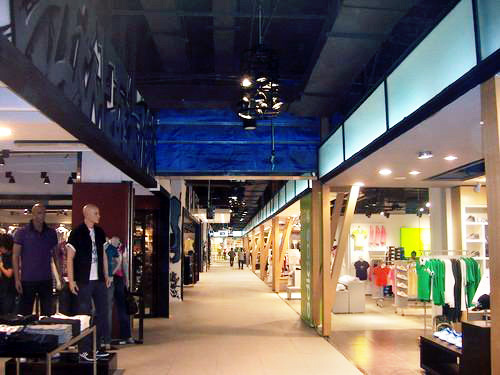 It includes a number of large department stores, such as Zhejiang Intime Department Store and Hangzhou Lane Crawford Store, as well as smaller shops selling quality items, knock-offs and discounted goods. The variety is immense, and vendors are willing to bargain. Over 155 shopping venues call this road home, and of a total of 10 major players in the Hangzhou shopping mall world, 7 are located on this notable stretch of real estate.